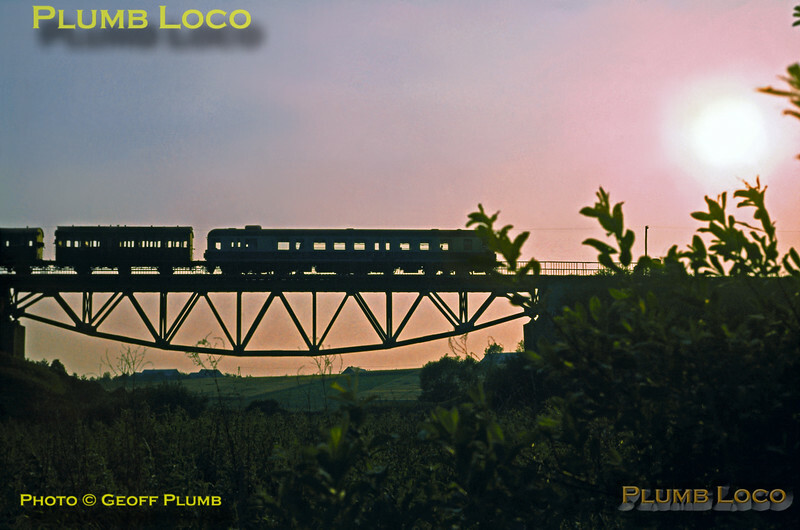 An unidentified PKP Hungarian class SN61 railcar is hauling a six-wheel carriage and a van across a viaduct near Katno, north of Orchowo with a working along the branch line from Mogilno, not long before sunset on Tuesday 2nd July 1974. We had expected this to be a steam hauled train, so this was something of a disappointment, but these railcars are now historic in their own right, a couple being preserved at Chabowka. The line is still in situ but disused nowadays. Slide No. 13034.